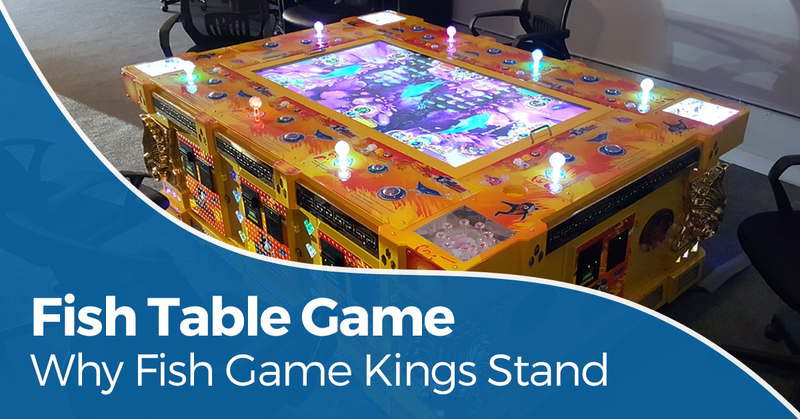 It’s been a little bit since we’ve had the opportunity to address our readers with an update from Fish Game Kings, the top distributor and manufacturer of what is being called the “fish table game.” People of all kinds are interested in the fish arcade game, the fish table game, the fish shooting game, or whatever else people are calling it these days. Why are people calling this phenomenon so many different names? One reason is because fish shooting games have taken the USA by storm. Popular in regions of Asia for some time now, the fish game is still blooming in popularity in this nation, so people aren’t sure what to call it yet. They hear things, things about how the fish table game makes retailers of all kinds a good deal of money. They hear things about how first-time players become avid-regulars because of the game’s stimulating competition. So what do people do? They type into their smartphone something like “fish table game near me,” because they don’t know what else to search for. Luckily, when folks do something like this, there is a good chance Fish Game Kings and our site will populate on the search engine result page. We’ve got you covered. What Kind Of Retailers Should Have The Fish Arcade Game In Their Store? Excellent question! We are thrilled you asked. Venues that are suitable to place fish games range in type quite a bit. Fish table games are being sold to places like Chuck E Cheese, Dave & Busters, Frankie’s Fun Parks, in addition to adult arcade centers, restaurants, bars, grocery stores, smoke shops, laundromats, truck stops, bowling alleys, sweepstakes cafes, skill game rooms, convenience stores, and pretty much any other type of retail venue that has a bit of room and a decent amount of foot traffic. What’s not to like about the idea of having a fish shooting game in your place of business? Sure, dedicated adult arcades will probably have a better chance of seriously impacting the bottom line of a business, but believe us when we say games like Ocean King 3 Plus – Crab Avengers, Magical Ocean, Dragon Hunter, or even Ocean King 2 – Golden Conquest are games that make people want to come back for more. Because the games are skill based in nature, players can improve over time. As they improve, their winnings can grow in turn. What Is So Captivating About Fish Shooting Games? In addition to what we’ve mentioned above, the fish game cabinets we provide at Fish Game Kings are equipped with 55-inch LED monitors, high-quality (no stress) bill feeders, and game tables that can support two, four, six, eight, or ten players. As more players join, the competition increases as well, causing a bit of a spectacle for passersby. People who notice the action usually will want to get in on it, which feeds a profitable cycle for owners of game rooms. Another brilliant question, if we do say so ourselves. The game isn’t complex to play, which is part of its appeal. Players are equipped with a joystick and buttons to lock onto characters to shoot in order to earn points. Each character a player is able to target and destroy has a certain point value associated with it. Players have control in regard to how powerful they want their shot to be — they can tape the weapon button to increase the point value per shot. Point values are connected with payments the player makes, so it is up to each player to decide on the strategy that is best for them. Of course, there is added nuance to individual fish table games, and we’ve spent a good deal of time in previous posts discussing the intricacies of each game. We encourage you to peruse through those past posts in order to find details of the game that sounds most interesting to you! We offer a variety of skill-based fish game titles here at Fish Game Kings. Below you find our list of available titles, with the qualifier that if you do not see the game you desire listed below, be sure to reach out to us to check if we are able to provide it for you. Below are a few of the most popular fish shooting game titles we have ready for distribution. While we are talking about available fish table games, we should note that we are able to help you develop your own game board through Fish Game Kings. We offer development services, meaning all you need to do is give us your ideas and we will turn your vision into a reality. Naturally, there are minimum order quantities connected with development services, so be sure to reach out to us if you are interested in such services. We will gather requisite information from you before providing you with an approximate timeline and pricing estimate. We are the first fish game company entirely committed to the manufacturing and development of fish arcade games in the USA. We are designers, developers, distributors, and manufacturers, providing prospective buyers with high-quality equipment and reliable technical support. Because of our history in the USA, we have been actively involved in the re-engineering of the fish game table. This re-engineering includes improving the table’s structural integrity, forklift slots, micro-switching, gauge wiring, speakers, monitors, and power supply options. On top of all this, we put our customers’ needs first. If you are interested in setting up a new revenue stream for your place of business, contact us today.